Product prices and availability are accurate as of 2019-04-16 12:52:57 EDT and are subject to change. Any price and availability information displayed on http://www.amazon.com/ at the time of purchase will apply to the purchase of this product. 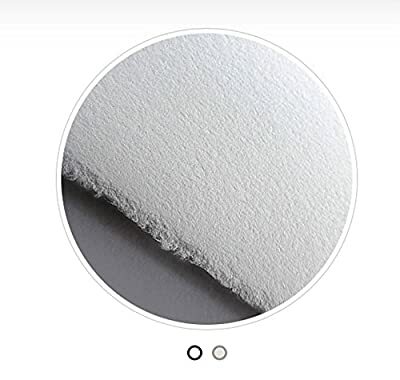 This Arnhem 1618 30 X 44 inch White Printmaking Paper (245GSM) is a sheet of 100% rag paper with a semi-smooth surface and subtle grain that makes it perfect for a wide variety of printmaking applications from relief to intaglio. Its strong and absorbent fibers stand up to either dry or damp printing, remaining receptive to multiple layers of either water or traditional oil-based inks. Use it to achieve great results, capturing anything from bold, graphic images to delicate, fine lines and tones.